Peter Senior has played the best golf of his life since turning 50 – yet the US continues to be a source of frustration for him. 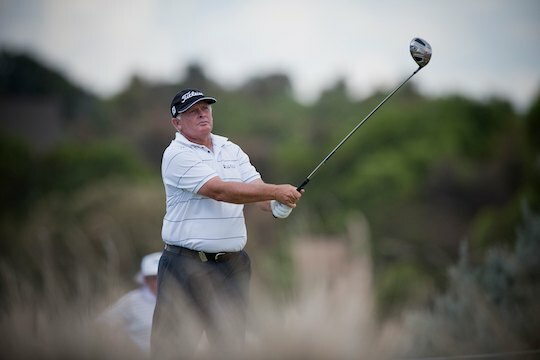 The plucky Queenslander has again had to deal with being so near, yet so far, when it comes to the US Seniors’ Tour, where, at the age of 56, he remains competitive, yet winless. Senior posted his third top-10 finish of the year at the Toshiba tournament in California but was a mere one shot shy of finishing in the top 30 on the 2015 money list. The former Australian Open champion had to finish no worse than outright second to sneak into that elite top-30. And he looked on target to do just that when he leapt from the boxes with a fabulous start to be three under through four holes and just two shots out of the lead on the final day. But his momentum ground to a halt as he could manage just one more birdie for the rest of his round to eventually finish in a tie for seventh on 13-under-par for the week. While that was enough to secure limited playing rights for 2016, Senior had been hoping to play a full schedule after suffering with injury problems for much of the year. The popular Aussie was heading back to Australia expecting to play all three of our major summer-of-golf events after injury forced him to miss all three in 2014…for the first time in 35 years.